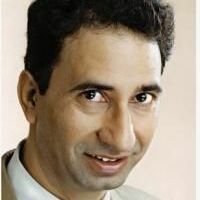 Acclaimed Writer Farhan Salaruddin debuted as Producer with the crisp and unique show Beend Banoonga Ghodi Chadunga on Imagine TV. The producer will now return to the limelight with yet another interesting concept, for Colors, under his banner Fortune Productions. The show will be a Muslim social drama. Farhan’s show along with Saurabh Tewari’s (Nautanki Telefilms) Rang Rasiya, featuring Ashish Sharma and Sanaya Irani as leads, will fill the time slot when Bigg Boss season 7 ends. 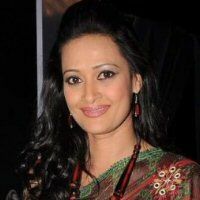 Coming back to Farhan’s show, we hear that Bollywood actress Amrita Rao’s younger sister Preetika Rao will play the lead. Preetika who has been an important find for Colors will apparently feature in Anil Kapoor’s thriller 24 in due course of time. A source tells us that her work in 24 caught the eyes of the channel and the pretty looking actress suited well into the character of a Muslim girl for the new show on Colors. We also hear that new face Harshad will play the male lead in this social drama. When contacted, Producer Farhan S refused to comment. 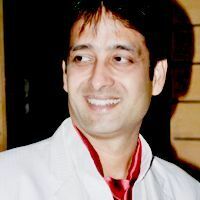 We sent out a text message to Prashant Bhatt, Fiction Head, Colors but did not get any revert. Sanaya Irani's next show by Saurabh Tiwari has titled Rang Rasiya! The news about Sanaya Irani bagging the lead role in Saurabh Tiwari's next production spread like fire few days back in the telly world. The show is slated to air on Colors channel, where the production house’s (Nautanki Telefilms) popular show Madhubala-Ek Ishq Ek Junoon is already stealing the thunder. The title seems to be inspired by Ketan Mehta's film based on the legendary painter Raja Ravi Verma. Going by the title the show does promise to bring additional color and add multicolored hues to the storyline of a couple. For the lead role, Sanaya Irani has been approached for the show, but nothing has been confirmed as yet. Sanaya went on a long holiday with family to the US after her last show Chhanchhan went off air. While talking about the male lead character, Sanaya’s real life boyfriend Mohit Sehgal has been approached for the lead role. 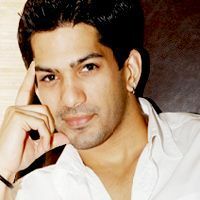 Mohit earlier played opposite Sanaya in Miley Jab Hum Tum that aired on Star One. What you say, are you excited on seeing the real life couple back together on screen? ‘Jo biwi se kare pyaar, woh Prestige se kaise kare inkaar’. You might have heard this line earlier, and now off lately with Abhishek and Aishwarya Rai Bachchan. Well, they are the new Brand Ambassadors for Prestige. So what does it have to do with this new show!! Guess what, SAB TV has partnered with Prestige to launch ‘Jo Biwi Se Kare Pyaar’. Interesting right!!! Did you know that ‘Jo Biwi Se Kare Pyaar’ is India’s first fiction-cookery show! So what is this show all about!! What all does it have in store for you!! Let’s find out. The show is produced by Deepti Bhatnagar Productions and SAB TV is set to being in an interesting concept for busy working couples and trying to bring in the “Kitchen” as a perfect place for bonding. Jo Biwi Se Kare Pyaar is a story that reflects the lives of a new age couple, Aditya and Suhani Khanna, who despite leading demanding work-lives try to find interesting ways to spend time with each another. This is where Prestige will play a vital role, and soon Ajay decides to do something special for his wife, and he surprises her by cooking an exceptional meal using Prestige’s smart kitchen appliance. The same as Abhishek did for Aishwarya in the advt. The promos have already created a buzz on television. And guess what, impressed by his gesture, Aditya Khanna and Suhani Khanna two take a vow that they will cook their daily dinner together from now onwards and in the process realize that cooking is the best way to recreate a magic in their relationship & share some quality time together. This is the whole idea behind the show, where it offers viewers with a perfect opportunity to learn new, fun & easy recipes that the families can enjoy together. 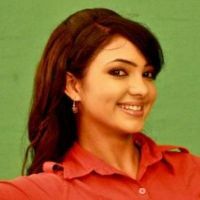 Talking about the cast, the show has Arjun Bijlani (Aditya Khanna), Shweta Gulati (Suhani Khanna), Rakesh Paul (Aditya’s brother), Gungun Uprari (Aditya’s sister-in-law) and Amit Behl (Aditya Khanna’s boss). The journey of Hatim is the journey of self-discovery. It's a journey of a normal man who goes on to become the savior of the world. Hindi general entertainment channel Life OK celebrated its second anniversary with the launch of its new show 'The Adventures of Hatim'. The channel completed two successful years on Wednesday. It also marked the second anniversary of popular mythological show 'Devon Ke Dev. 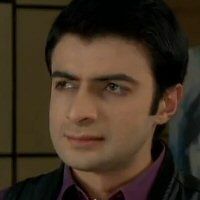 Mahadev', read a statement. 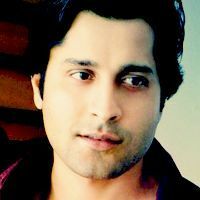 On the occasion, actor Mohit Raina, who rose to fame as Mahadev in the mythological show 'Mahadev', introduced actor Rajbeer Singh, who will be seen as Hatim in the channel's new show, and welcomed him to the family. Also present on the occasion were Ajit Thakur, general manager, Life OK and Aniruddh Pathak, creative director, Life OK. The second anniversary of the channel was celebrated with a cake-cutting ceremony. 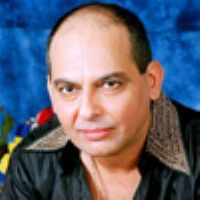 Vijay singh, who won ‘The Bachelorette India - Mere Khayalon Ki Mallika’, might be seen in a cameo in upcoming fantasy show ‘The Adventures of Hatim’. 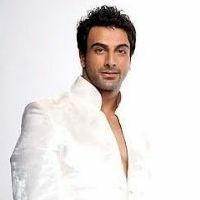 Vijay singh, who won The Bachelorette India - Mere Khayalon Ki Mallika', might be seen in a cameo in upcoming fantasy show 'The Adventures of Hatim'. The model has been approached for the role, but he has not confirmed as yet. "Vijay Singh has been a model and thus fits well in the role. However, it is not sure whether he would agree to be part of the show. Only time will tell," said a source from the channel. Based on the popular folktales, the show will transport the audiences into a surreal world of fantasies, action and adventures. 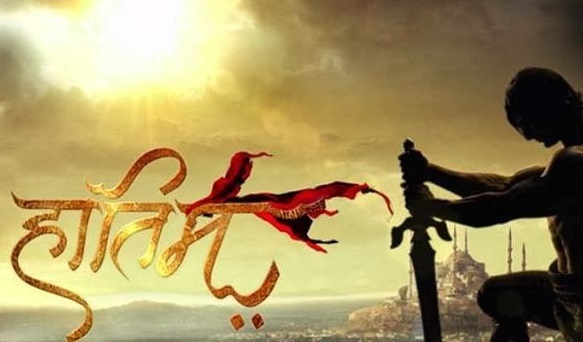 It will premiere Saturday on Life OK.
Kishwer Merchant to be seen in Hatim! The pretty actress Kishwer Merchantt will be seen playing a vampire in the upcoming show The Adventures of Hatim. 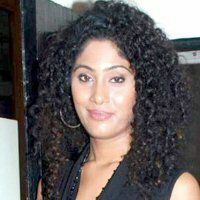 The talented and pretty actress Kishwer Merchantt who was last seen in Savdhaan India @ 11 and many episodic will now be seen in Nikhil Sinha's fantasy based show The adventures of Hatim which will air on Life OK.
Our reliable source informs us about Kishwer Merchantt being a part of the show, "Kishwer Merchantt will be seen in the show The Adventures of Hatim. She will be seen playing a vampire. Kishwer has already started shooting for the show." 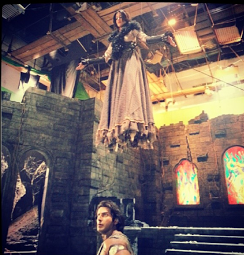 We have got an exclusive picture of Kishwer Merchantt who is donned in her avatar from the show Hatim. To know more about her character we tried contacting Kishwer Merchantt but she remained unavailable for any comments. Kishwer Merchantt has already portrayed different characters and entertained the audience through her acting skills. In the show Savitri which aired on Life OK, Kishwer Merchantt was seen playing the role of Kayachaya and impressed the viewers with her performance in the show. She was very much appreciated for her role in that show too. Since Kishwer is playing a negative role in this show too, we hope that she can attract many eyeballs through her acting skills in this show too. If ‘Devon Ke Dev – Mahadev’ and ‘Katha Mahadev Putra Bal Ganesh Ki’ have been creating a rage in masses, then the next fantasy venture titled, ‘The legend of Hatim’ is all set to make them go crazy! 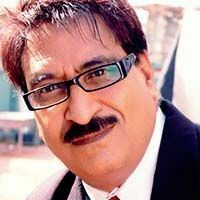 The maker of ‘Mahadev’, producer Nikhil Sinha, is all set to reignite the magic of ‘Hatim Tai’ once again on silver screen. 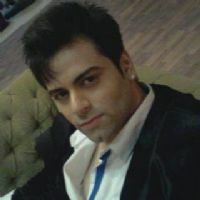 Through his new show, which is all slated to go on Life OK, he believes he will be able to entertain all people, in diverse age groups. Although his last attempt on the Arabic poet, featuring Rahil Azam as ‘Haitm Tai’, bombed on silver screen, leaving hardly any traces of memories in the minds of the audience, he is determined that the success of ‘Mahadev’ will give ‘Hatim Tai’, the required leverage. 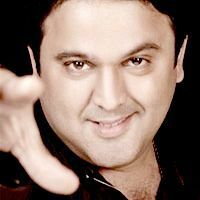 He has roped in Neerusha Nikhat, who has 20 shows to her credit, to create the fantasy look of the show. The casting has also been decided featuring Rajbeer Singh as ‘Hatim Tai’. The man was the finalist of reality show, ‘Perfect bride’. 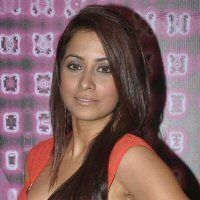 Other than Rajbeer, the show will have Pooja Bannerjee, who was last seen in ‘Ghar Aaja Pardesi’, starring opposite him. Although, the actress has not confirmed this, but sources reveal that the training schedule of the stars has all started. Apparently, Rajbeer, who is a fitness freak, is known to have lost 20 kilos to look lean, yet fit for the role and has also taken up martial arts sessions. He has also undergone workshops in stick and sword fighting. But then again, Pooja is also on her way to similar workshops. She is all set to train as a warrior through sword fighting and horse riding. Being an athlete and state level swimmer, Pooja will hopefully not have much difficulty in resorting to the physically strenuous schedule. Let’s see if the audience is able to relate with ‘Hatim Tai’, something that they shunned way back in early 1990’s, when ‘Jeetendra’ played the role in the fantasy film. 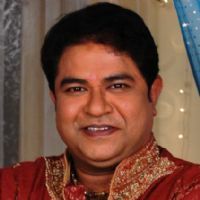 The makers have not revealed whether the show will be bi-weekly or weekly program, but let’s hope it will be as fantas-tic as is ‘Mahadev’ currently! After all, fantasy genre is one segment, which has not been tried and been made successful much, so it will be interesting to see the makers making attempts in the genre! The series consists of hard-core police procedural stories dealing with investigation, detection and suspense. 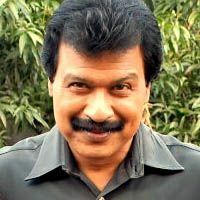 The protagonists of the serial are an elite group of police officers belonging to the Crime Investigation Department of the police force, led by ACP Pradyuman (played by the dynamic Shivaji Satam). While the stories are plausible, there is an emphasis on dramatic plotting and technical complexities faced by the police. At every stage, the plot throws up intriguing twists and turns keeping the officers on the move as they track criminals, led by the smallest of clues!!! ACP Pradyuman is the head of C.I.D. A sharp detective and a no-nonsense cop, he's known for his unmoving dedication towards duty, which he believes comes above everything else. He proves this by killing his own son Nakul, a criminal, placing duty ever over his fatherhood. The C.I.D is the essence of both his personal and professional lives, which is why every case he's handled in his long and well-reputed career has just one status - solved! Not a single criminal, no matter how clever, has ever managed to outwit him for long. He is a brilliant investigator and a tough leader. He expects perfection from his team and cares for them, but when it comes to work, he treats them with an iron hand. After all, perfection needs discipline However, he shows genuine concern and is affectionate towards his officers and innocent citizens in need. He's a living example of dedication, decorum and humanity. Senior Inspector Abhijeet is a tough cop, who believes in out-thinking criminals. In the absence of ACP Pradyuman, he leads the C.I.D team. He is comparatively more accessible than the ACP, but his personal life remains a great mystery. During a high-risk operation in the past, some criminals brutally assaulted him and left him to die. Somehow, he managed to survive, but lost his memory' permanently. His past comes back to haunt him every once in a while, and hence he doesn't trust anyone ' or rather he can't. The only person he trusts is his colleague, Daya. They share a great emotional bond and a wonderful understanding of each other. When it comes to work, he is unbelievably sharp and an expert at what he does. He is considered to be one of the best, most intelligent and honest officers in the C.I.D. He's headstrong, rational and firmly believes in fighting for what is right. He's also known to be extremely helpful and protective towards those in need, particularly children. He is by far the best marksman in C.I.D. and can even shoot down targets with his eyes closed - by only hearing the sound. Originally joining the team as a Sub-Inspector, Senior Inspector Daya is another long-standing member and a very integral part of the C.I.D team. Apart from using his amazing investigative skills, he's well-known for his imposing stature and extraordinary physical prowess which strikes fear in the hearts of his enemies. Whispers of terror start slithering like phantoms amid criminals once they learn that Sr. Insp. Daya is on their trail. At the same time, he has a heart of gold and will be first to rush to his colleagues' assistance, irrespective of any danger involved and often at great risk to his own life. He's well-known and respected for the affection and care he displays towards children. He shares a truly unique bond and friendship with Abhijeet ' them having overcome innumerable dangers together and developed an understanding so close that it wouldn't be inaccurate to term them brothers in bond. He's extremely loyal towards ACP Pradyuman. 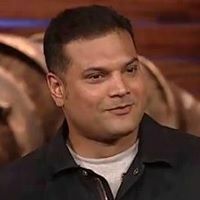 Dayanand Shetty won the award for the best looking guy on Indian Television in 2002. 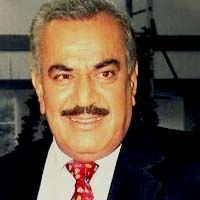 He is the Senior Most Forensic Expert . 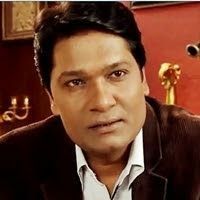 He is a talented Forensic expert and he has a friendly enmity with ACP and Abhijeet , but has a soft spot for the C.I.D team. He had an unexplained exit in the year 2003, but made an appearance again in 2005 to save Daya in the episode Case of the Staged Murder. He believes that ACP Pradyuman was the one to pass the transfer orders against him, however ACP has something else to say. Dr.Salunke finally joined the team once again in 2007 with The case of the Dangeorous Lady and has been an integral part of the show since then. He is said to have the ability to predict the time of death looking at the dead body ! Sub-Inspector Fredericks is a long-standing member of the C.I.D team who finds humour even in the darkest of situations. His character had a rather serious role from 1998 to 2005, but has been considerably lightened from then. He's been portrayed to be paranoid about supernatural entities, to his seniors' annoyance. His unusual method of cracking cases is effective, but also quite humorous ' though no one minds as long as he cracks the case. In fact, he's adored by everyone in the team for his big heart and affectionate attitude. Though tough towards villains, he's extremely caring towards each of his colleagues and their wellbeing. He shared an entertaining and elder-brotherly bond with sub-Inspector Vivek. Dr. Tarika made her debut in the case The Don's Final Revenge (August 10, 2007). 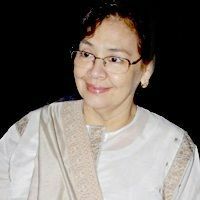 She assists Dr. Salunkhe in the Forensic Lab and is noted to have considerable technical expertise with forensic tests, helping the C.I.D team uncover vital clues in their numerous quests for uncovering the truth. Senior Inspector Sachin joined the C.I.D. 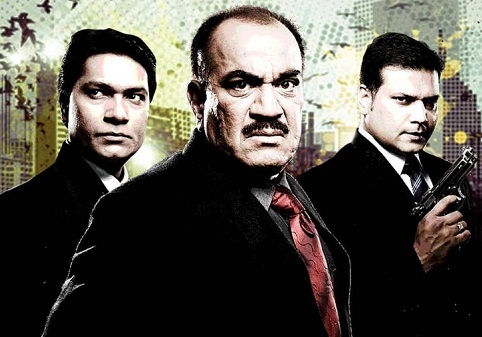 team in the episode Khooni Deewar (aired on May 7, 2010), under a misleadingly shady alias of Siddharth and actually working with a covert team referred to as C.I.D. Undercover. He's a bold and daring officer who greatly respects his seniors, and is often seen taking charge of the investigation in their absence. His remarkable physical prowess and agility enable him to overcome opponents in combat. He's shown to be quite reserved about his personal life and views. 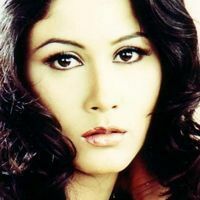 Sub-Inspector Purvi joined the C.I.D team in 2011, after being helped by Abhijeet and Fredericks in thwarting a gang of drug smugglers on her last case. 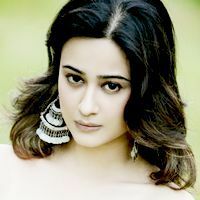 In a later episode, it was revealed that she had a traumatic childhood, having been kidnapped at a young age by her treacherous stepmother, before being saved and adopted by a kind man named Girish. She's a dedicated officer who assists her seniors in investigations, enquiries and close contact with enemies, especially female criminals. 10 Ka Dum is a reality show for the masses. The show provides the contestant a perfect opportunity to win Rs.10 crores. And the best part is that to win Rs.10 crores, one doesn�t need to be special. One needs to be common. Common? Yes, common. The one who thinks like the common man of India, wins. To win, the contestant has to judge the approximate percentage of people who responded to a question in a particular manner. The questions on the show are based on a survey carried out amongst the people of India. The questions deal with our daily life. E.g. 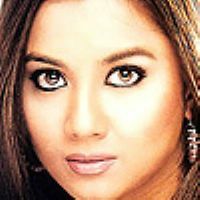 Kitne % Indian aadmi apni biwi ka birthday bhoolte hain? To win, the contestant simply has to judge the approximate percentage of people, who forget their wives birthdays. As a contestant goes further in the game, his guesses have to become more accurate to win. Also, the show is not just about winning, but it is also about having fun. And with a host like Salman Khan, fun can never be far away. So, India get ready to win! Vipula Raina from Noida has made history on Dus Ka Dum this weekend by winning Rs1 crore. In an exciting and nail- biting finish Vipula went home richer and happier. Aamir Khan appeared on the July 4th episode. The 1 Crore question he was asked was: What percentage of Indian men think they are more intelligent than women? He dialed in a range between 51% and 61%. The correct answer was in the range, thus he won 1 Crore. He quit the show and didn't gamble for 10 Crore, but dialed in a guess of 57%. The exact percentage to the question was indeed 57%, so he would've won the jackpot of 10 Crore had he played on. SEASON 3 Coming in 2014 after Bigg boss 7 and once Salman's film ShareKhan release. I DREAM OF JEANNIE is based on the romantic & fantasy filled adventures of Jeannie and Captain Vicky Arora who is a commercial pilot with Fly High Airlines. The action begins when Vicky abandons his plane and makes an emergency landing on a deserted island where he finds a 2000 yrs old Jeannie trapped in a bottle. Jeannie falls in love with Vicky at the very first sight, tricks him and follows him by back into his world. The well intentioned Jeannie only tries to make life better for Vicky while actually putting him into trouble at all situations. Its' only a matter of time before this very naughty yet lovable Jeannie will become the centre of Vicky's universe and the chase will turn into a sweet tale of romance, magic and fantasy. 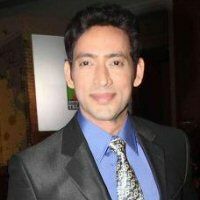 Mumbai, 20th October, 2012: Life OK is once again geared to create ripples on Indian television with an innovative take on reality programing in its latest show – Hindustan Ke Hunarbaaz. The show that will be guided by a ‘NO-COMPETITION, NO-TEARS’ principle, promises to be a one-of-its kind, complete family entertainer. The innovative reality series will embark on a journey to find the hidden talent in children across India and boasts a proud tagline – ‘Harr Bacha Hai Khaas’. Bollywood diva Sonali Bendre and ace choreographer Terence Lewis will feature as ‘Cool Gurus‘ on the show. 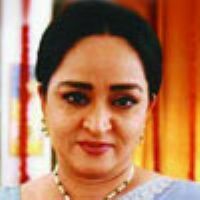 Based on Life OK’s guiding philosophy ‘Cherish what you have,’ the show resonates the belief that every child is distinctively versatile and talented. Hindustan Ke Hunarbaaz will act as a ready platform for all the participating children to harness their special skills in a format that’s devoid of any performance pressure. The show that premiers on 22nd October at 7 PM, travels across the vast Indian terrain to scout for talent that has long remained hidden in the confines of four walls. Participating children will showcase their talent without any inhibitions of being judged, bringing out the best in them and making each and every one a winner in a unique way! Sonali Bendre and Terence Lewis will constantly encourage these kids and mentor them throughout. Bollywood beauty, mother and cool guru Sonali Bendre believes that it is important to recognize and nurture every kid’s talent. 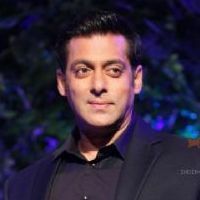 “I am extremely delighted to be a part of Hindustan Ke Hunarbaaz; which unique in several ways. The show is well-intentioned and aims to foster support and encouragement,” she said. Be it Malkhamb or magic, martial arts or sand art, singing folk songs or instrumental music, Hindustan Ke Hunarbaaz welcomes all children with open arms. Hindustan Ke Hunarbaaz, premiers on 22nd October at 7PM on Life OK and continues on as a special series from Monday – Friday at 7 PM & 9 PM.